We´re going to learn how to foam rolling. I love my foam roller so much, I´m even worried! Maybe I skip a training session or miss a yoga session, but I always find ten minutes to catch up with my foam roller. As each exercise has its own instructions, but there are main guidelines and usual mistakes common to all of them, I think it´s easier to read separately. Once you know the “basic rules”, it gets boring read them over and over again, right? Anyway, if you need a reminder or thinking on new followers, I´ll add a link to this post for everyone´s safety. WARNING! Most important: Do NOT use the foam roller on your lower back. Never. You may get injured. And that´s the opposite you want. Rolling your lower back will cause your spinal muscles to contract to protect your spine. To release your lower back, we roll the muscles that connect to it, glutes, hip flexors, and so on. Time: Ideally, you should spend 20 seconds or so on each tender spot while managing how much pressure you apply. 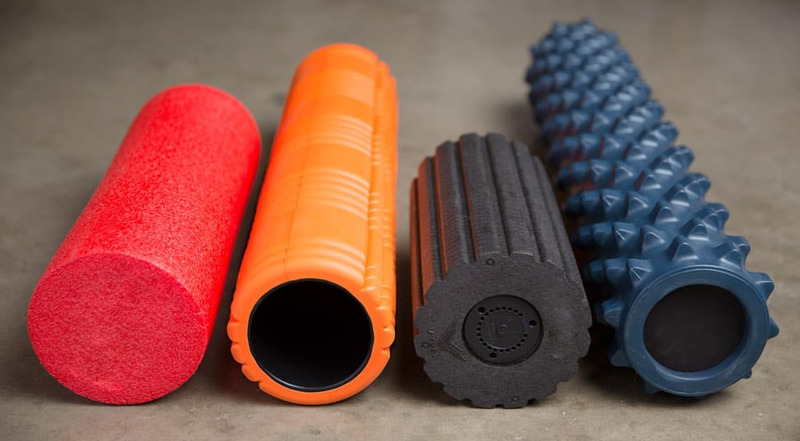 When using a foam roller you should apply enough pressure so that you feel some tension released, either with constant pressure or by making small movements back and forth. A mild amount of discomfort is expected but you shouldn’t be in pain. Pressure: Apply enough pressure so that you feel some tension released, either with constant pressure or by making small movements back and forth. A mild amount of discomfort is expected but you shouldn’t be in pain. On painful or inflamed areas, it’s often best to roll just a few inches away first and then use large, sweeping motions to cover the entire area. Speed: Do not roll too quickly; slow and concentrated movements. If you roll too fast, your muscles won’t have time to adapt and you’re not going to get relief. Bad posture: If you use an improper form or bad posture while doing this, it could exacerbate existing postural deviations and cause injury. This is why we give specific instructions for each exercise! Are you ready to foam rolling? Oh my goodness! I’ve used it on my lower back. Maybe twice but I didn’t know it was not good. I use it occasionally. I love it, but for some reason got out of the habit, so back to the roller. Thanks for the tips!! Our eldest son is so in love/addicted (giggles) to his foam roller that even when he is deployed (he is active military) he packs IT first and all other items are squeezed in around this. He swears by using the foam-roller at the completion of every work-out! I just recently tried using one and must say, “I understand now why he promotes using one!” How wonderful your post-series is beginning as I BEGIN to take an interest!! HUGS!! Hope this series may enjoy and help you add foam rolling to your daily routine.